In a pasture area adjacent to Lake Bogoria, Kenya. October 2010. 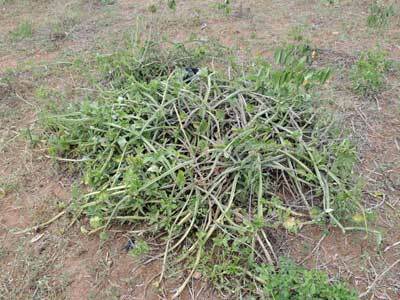 This plant photo was misidentified until Daryl of Impact Sciences provided the correct identification. 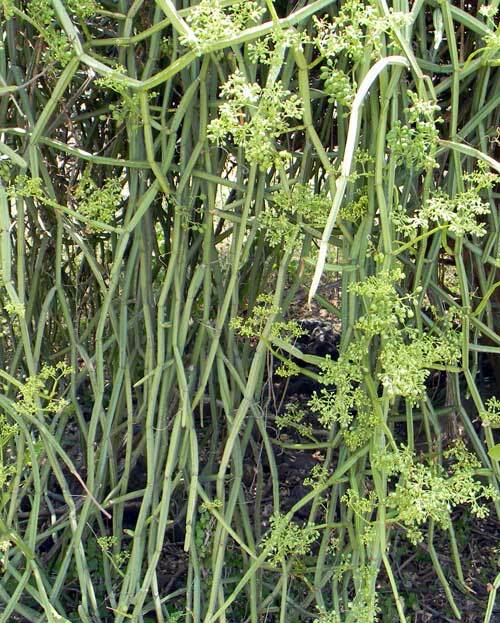 The stems of this vine are smooth and green with several conspicuous wings running parallel along the length of the stems. 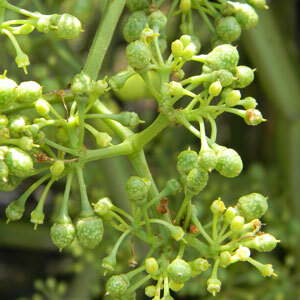 Small flowers occur in intricate racemes. The stems appear four-sided in cross-section. Small three-lobed leaves may be present at the nodes, but these can be shed if drought conditions persist. It is possible that this species is introduced to Africa from India or Sri Lanka. In seasonally dry habitats where grazing pressure is high such as a rocky slope near Voi, Kenya (above), this is a commonly encountered plant. Apparently even goats find it completely unpalatable. Within the clumps of stems other more palatable plants gain a foothold.